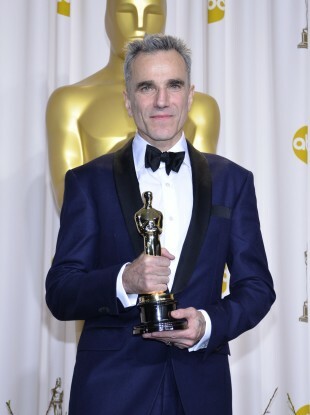 MULTI OSCAR-WINNING actor Daniel Day-Lewis has announced that he is set to quit acting. The 60-year-old, widely considered one of the best actors of his generation, will retire from the profession with the upcoming Phantom Thread set to be his last film. In a statement released by his representative today, Day-Lewis confirmed that he “would no longer be working as an actor”. The statement added that he was “immensely grateful to all of his collaborators and audiences over the many years”. Day-Lewis has starred in multiple memorable roles in a career which has spanned four decades. He has won an incredible three Oscars for My Left Foot, There Will Be Blood and Lincoln. Although born and raised in London, Day-Lewis holds both British and Irish citizenship. He is well-known for his portrayal of Irish characters, such as Christy Brown in My Left Foot and Gerry Conlon in In The Name Of The Father. His versatile style and meticulous attention to detail has earned him widespread notoriety and praise. While filming My Left Foot, for example, he reportedly stayed in character when the cameras stopped rolling to remain immersed. As Day-Lewis hangs up his acting boots, we want to know: What is your favourite Daniel Day-Lewis performance? Email “Daniel Day-Lewis is calling it quits on his acting career”. Feedback on “Daniel Day-Lewis is calling it quits on his acting career”.